Adults Are Bullies, Too - Stop The BullyingAccessible Healthcare Institute™ LLC. Rachel Danford. All Rights Reserved. Bullying typically involves a power imbalance, repetitive and intentional actions. Physical Bullying includes physical contact such as hitting, kicking, tripping, pinching and pushing, or damaging property. Verbal Bullying includes verbal abuse such as insulting, name calling, teasing, intimidating, homophobic or racist remarks. Social or Emotional Bullying includes covert or hidden bullying with behavioral actions intended to harm a person’s reputation or cause humiliation: lying and spreading rumors, negative facial gestures, playing mean jokes to embarrass or humiliate a person, mimicking a person in a negative way, encouraging social exclusion of a person. This is also referred to as relational aggression. Cyberbullying includes utilization of the internet to taunt or humiliate a person. To accomplish this, cyberbullies use social media, such as Facebook and Twitter, as well as cruel websites, humiliating a person while playing online games, verbal and emotional bullying through chat rooms, instant messaging, texting, or posting photos with malicious intent. Sexual Bullying includes actions that are repetitive, harmful and sexually humiliating to a person. These actions can encompass verbal, physical, relational aggression and cyberbullying such as sexual name calling, vulgar comments, crude sexual gestures, touching without consent, sexual propositioning and pornographic materials. Sexual bullying can lead to sexual assault. Prejudicial Bullying includes bullying directed towards people of different races, religions or sexual orientation. Prejudicial bullying can lead to hate crimes. Bullying can occur anywhere. It can occur in the school setting, public places such as the mall, workplace environment, on the computer through the internet, or on the phone via texting. Cyberbullying through a text message indicating malicious intent to slander a healthcare professional. In workplace environment, follow your chain-of-command for reporting a grievance. Talk with trusted friends and family for support and avoid isolation. Record and document the bullying by saving evidence. Expect the bully to deny allegations of bullying. Prevent communication with the bully, as much as possible, particularly with cyberbullying. 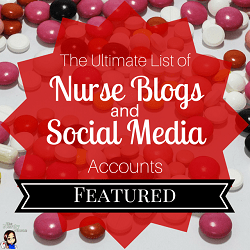 Block their email address, cell phone number, delete them from social media contacts. Report bullying activities to their internet service provider (ISP) or to any social media or other web sites they use to target you. The cyberbully’s actions may constitute a violation of the website’s terms of service. In instances of slander or libel, bullies can be prosecuted for criminal charges of defamation. Ensure you learn effective methods to manage stress. Focus your time on pleasurable activities. Give yourself time to heal from the bullying. Prevent bullying in the future generation by encouraging empathy with children. What are some specific effective strategies for coping with bullies? Post your ideas in the comments below. Lachman, V. D. (2015). Ethical Issues in the Disruptive Behaviors of Incivility, Bullying, And Horizontal/Lateral Violence. Urologic Nursing, 35(1), 39-42. Weber, M. R. (2015). Adult Bullying. Education Digest, 80(7), 32-36. Article about bullying: well done. When I started working critical care, it was trial by fire. The other nurses were incredibly cruel to me. I think I went home crying every day for the first year, which only increased my determination to become an expert critical care nurse. Eventually I succeeded and was taken into the fold. I spent a great deal of time and energy working to change that culture by providing educational opportunities and mentoring opportunities for new to the ICU nurses. I hope things are better now. I would like to add that nurses and nursing students with disabilities are often bullied. They need to be prepared! Rehearsed responses, role play, and networking with other nurses/students with disabilities can help. Great tips! Sharing your wonderful article. 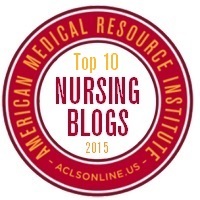 Thanks for this great reivew of a crucially important topic for nurses.